In the earlier period of Nollywood, the camera was simply an equipment that recorded what was simply placed before it. Really, most Nollywood movies look as if they were shot by a camera. These days, however, you know there is someone behind the camera. And this is because the camera has become a plaything, an expensive plaything at that. The more expensive the plaything—at the expense of all other artistic elements necessary to mount a good movie—the better. A strong dose of narcissism is involved: “look at me,” the person behind the camera seems to be saying, ‘see what I can do with this.” What I say to this person is, “when you have to shoot, shoot, don’t play. And shoot to kill.” This play is most noticeable among film graduates–that is to say, filmmakers schooled in semiotics. Since more and more of these graduates are the new hands behind the camera, more and more of the New Nollywood movies–the new hollow, bombastic movies by director/producers who were once actors–are acquiring a certain feel: childish, declamatory, and pompous. In no other film is this play more noticeable as in the films of Kunle Afolayan, whose trailer for his newest movie “Phone Swap” is currently on TV. Everything [that should have been] alive in this movie has been processed out, no doubt in line with the new [probably old, but now more pronounced] misguided notion that cinema is essentially a pictorial medium and that’s all. The picture is so carefully composed, so meticulously worked-over it becomes picture-taking, instead of picture-making. Moments of sudden beauty can make a movie come alive, but when this exercise is sustained the entire duration of the movie, when the images are abstracted from all living detail as is done in this movie (a sort of figures without landscape), it begins to dull the senses. To be sure, I enjoyed some of these images–Hafiz Oyetoro beautifully garbed and photographed, but this succession of images to be enjoyed purely for itself, this self-absorbed exercise in style? When movies are artificially made to look artistic, the style, the photograph becomes the only noticeable thing about them. When a director dies, he becomes a photographer. It was, I think, Flaherty who said something like this. One finds it difficult escaping from the feeling that “Phone Swap” feels like an advertising campaign. 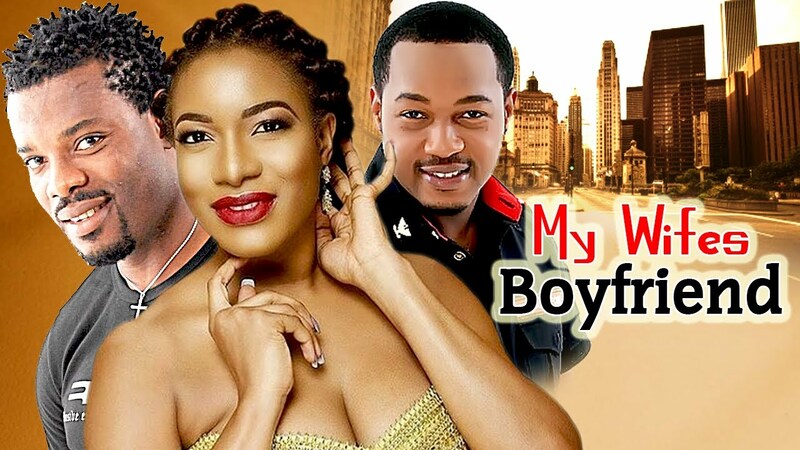 Why are more and more Nollywood movie-makers purely concerned with the appearance of their movie at the expense of meaning, content, character, and performance–that is to say, the dramatic and narrative elements of the motion picture? But perhaps one is being unfair to a movie glimpsed only as a trailer? I am angry, but I am not unfair. 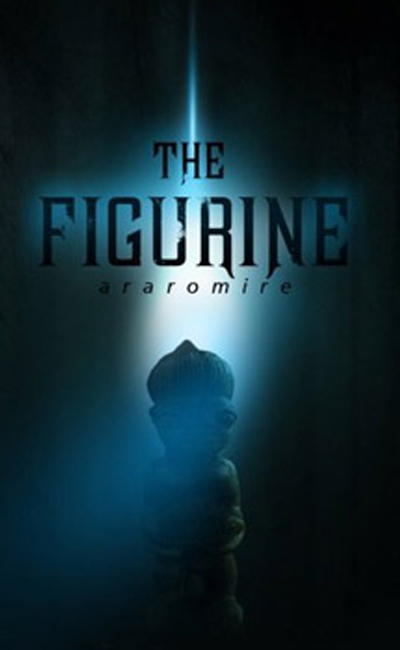 So, “Figurine.” Here’s what a reviewer, Tope Alake wrote: “The story was done really nicely, the Cultural relevance was not lost in any way, and neither did it lose anything to make it foreign. I really love the screenplay… I think the characters were nicely built; I like the fact that Femi did not speak much, even though he had really deep intentions. I like the fact that Shola always chewed gum and was frivolous with his speech and actually came very late to the NYSC camp. My best character would be Linda! I like the build of her character, her jokes where real, and I think the actress killed it.” Even movie criticism has become play. Pray, tell me, what is the meaning of [a movie’s] cultural relevance? Is this the reason for the inane culturally relevant lecture [repeated in the body of the movie] at the beginning of the movie by the culture-conscious professor? What is the essence of this sequence, especially after the lengthy opening voice-of-God narration that tells us from the very beginning more than we are ready to be told? Here’s the movie, in a nutshell. “Araromire” is a village named after an evil god who, after seven years of plenty, plagues her people with seven years of evil. This mix follows everyone who comes in contact with the figurine. When the priest is struck down by his own idol, the villagers feel they have had enough and burn down the shrine. Femi (Ramsey Noah), who is secretly (?) in love with Mona (Omoni Oboli), who seems to be in love with Shola [Kunle Afolayan]. The trio reunites at the title village for their service year. There Shola proposes to Mona who is with his baby. The news breaks Femi’s heart. 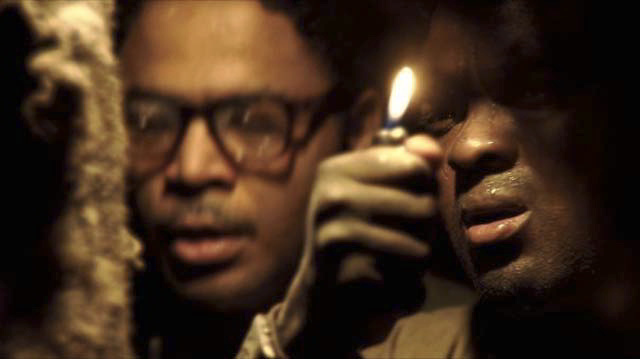 In the course of their endurance trek, Shola and Femi discover the “Araromire” idol in the forest which Shola steals. Afterwards, what seems like seven years of plenty follows Femi and Shola. Shola marries Mona and Femi is doing well as a financial expert abroad and later back home. It’s a good life, with struggle and illnesses all gone. Seven years later, things turn around and the bad seven years of plagues begin. Okay, we are back with cultural relevance. One of the quarrels I have with the foreign agencies that fund films made in Africa is their insistence that the film must be relevant to the culture of Africa. Do American and European filmmakers assume such responsibility? What, for instance, was culturally relevant in the terminal sequence of Godfather 3 in the image of Pacino’s character holding onto the lifeless body of the person he loves above all else in the world, to Italy? I have always found the term “cultural dance” a misnomer. All dances, whether it is the Ohafia War Dance or Michael Jackson’s Moonwalk are cultural. Why do Nigerian movie-makers take upon themselves the task of cultural relevance? The task of a story-teller is to tell a well-told story, whether or not it is culturally relevant. This term and the task which the movie-makers willingly assumes is what kills the movie from the outset. The setup becomes too long and boring. There is no mystique, no subtlety. We are hit on the head from the very beginning of the story as if we are too dumb to know it our self. Since we already know what we are going to discover, why undertake the adventure. Messrs Figurine, adventure is finding out yourself, your strength and weakness. If the filmmakers know they are going to insert a sign announcing the village during Femi and Mona’s bus trip, why waste our time [and film time] with the clumsy and heavy-handed lengthy opening explanation? It’s as if the filmmakers don’t trust their ability to come across dramatically, and so they decide to offer us everything on a platter. The beginning unseen narrator functions in the same way as a typical Nollywood score–it reveals everything. What is there, really, to like in the characters, who we are told, “were nicely built?” Let’s take geek-chic Femi. He seems more a pawn [one is tempted to say impersonator] than a character in the true sense of the word. Is being asthmatic the same thing as being a geek? Would he have been any different were he not asthmatic, or is his medical condition merely a prop for the movie’s theme? If I say I find his existence unconvincing I mean that his personality and individuality, like the rest of the cast, is contrived, forced. As for gum-chewing, frivolous-speech Shola what is one to make of him? At once it becomes obvious he is intended as a cheap foil for Femi. What is he rebelling against? Is he even rebellious? The answer to both questions is negative. And so his attitude quickly becomes a pose, an annoying one–even though one is not quite sure who is posing. You know what I mean? What is one to make of Mona? What is the meaning of this lassitude? The filmmakers and Femi and Mona seem undecided about whether or not they are supposed to be in love, and because neither seems sure [I did not finish watching this movie] it seems to me the point is to ‘demonize’ Shola so that finally Mona’s eyes will open to the true love she has been missing. Linda, as far as one is concerned, is the fantasy life of someone whose idea of a female artist is cheap and limited. And here, we are right back where we started. “The part of the movie that got me the most was the pictures–style, not quality,” our reviewer continues. “I love the Cinematography. Some of the shots where nicely composed or tracked or they just had something creative about them. I also love the arrival shot to Araromire village, having the signpost in the frame was a great one.” So, there! Once matters get to this point, one is left astounded. The obvious is not obvious to a lover of over-composed photography: technique has triumphed over art. To take a more recent example, you don’t come out of the theatre and talk about the photography of Viva Riva! And yet it is a much better film. You are not thinking of the “nicely composed” shots that were “tracked” or “just had something creative about them.” No, you are thinking of the movie, because there is so much to respond to. When you carry on about technique, it is simply because there is nothing else to respond to–if you stop and really think about it. My attitude [to what is happening to movies in Nigeria] may seem quarrelsome, but I do not apologise for this. I love cinema too much to be ambivalent about it. The movement of Nollywood movies [that is, its becoming “New”] from homes and DVDs to the cinemas is not movies becoming more cinematic. It is movies raised to the dubious level of High Fashion Cinema–really, a lot of those clothes on the runway are not wearable no matter the cost.